I have a son that's 11 years old he means the world to me. My wife had a problem with experimenting on different drugs when my son was only about 6 months old. Her family had addiction from experimenting with meth and other drugs so I tried it and it wasn't really my thing. My thing was pills, so we got a place together me, her, and my son and it was going OK for awhile. But in 2011 I had caught cancer and it took a toll on my body, so my wife decides she going to leave me cause she can't handle my condition anymore and takes my son with her. I was so in denial with my addiction that I didn't know what to do. After taking chemo for 9 months I finally went back to work and was already addicted to Oxycontin and other pills. I lost my self-respect and control. Now I've been living a nightmare, lost my truck, my family, my son barely talks to me anymore. My job and my life is ruined because of it. Knowing the problem moves you towards getting your life back. You've survived cancer so you must try to end your addiction and get your life back. Addiction is an insidious disease of the brain. Our brain fools us into thinking everything is just fine when it isn't. Since you are now past your denial, you should be able to begin the difficult process of ending your addiction. I would HIGHLY recommend that you go to AA or NA meetings in your area, DAILY, until you move past your addiction. The 12 steps teach us how to understand our addiction and also how to learn how to move past it. 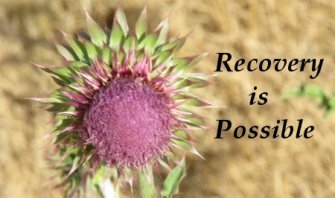 Life after addiction can be better than ever because we realize how bad it was and how good it is now.